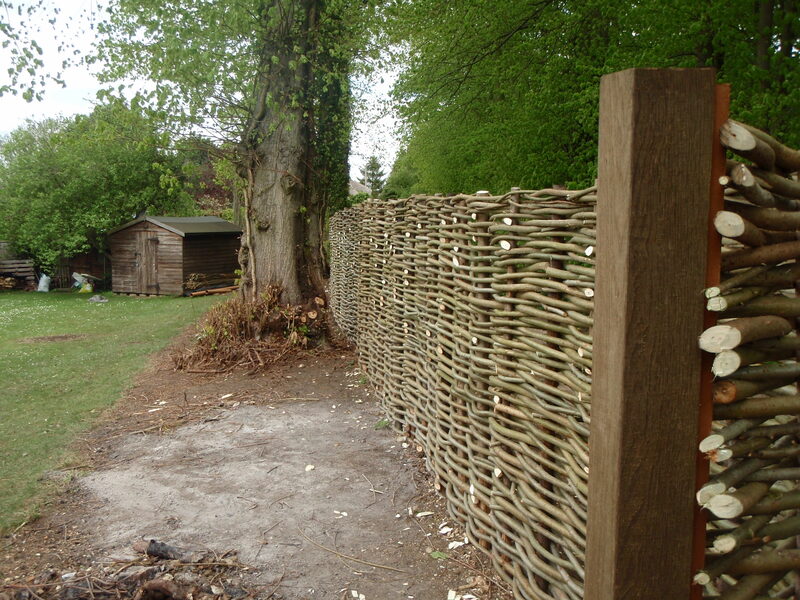 Willow fencing jobs of any scale can be undertaken. 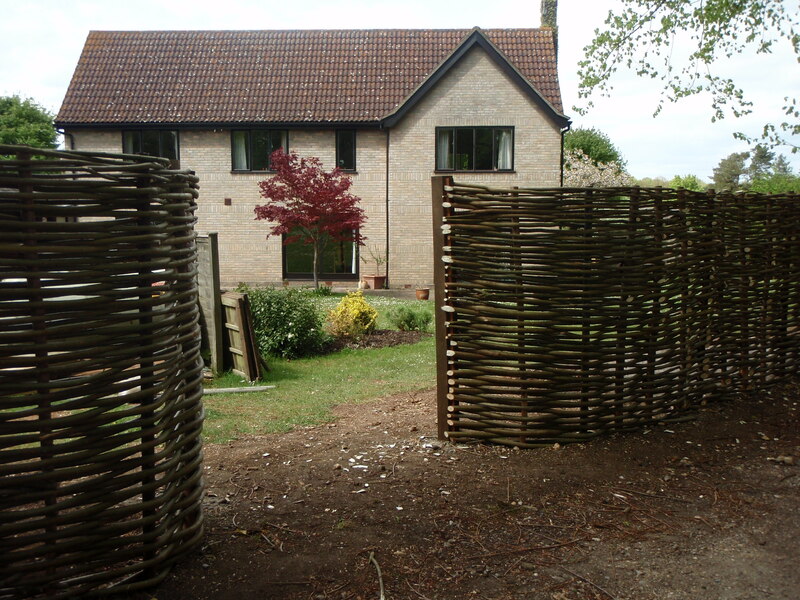 We can weave using bunches of thinner willow as in traditional Norfolk pattern hurdles, or thicker willow rods which provide greater longevity and a stronger fence. 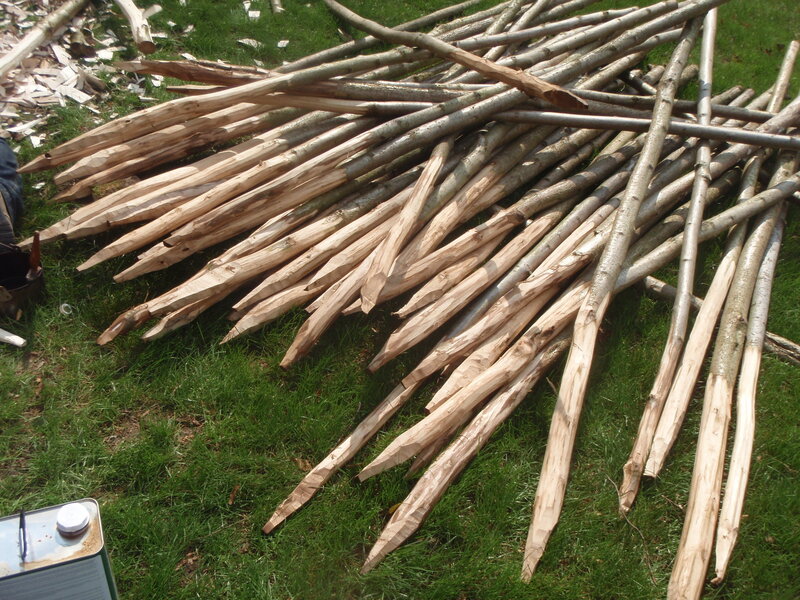 Subject to availability, prime hazel rods can be used as the weaving rods. 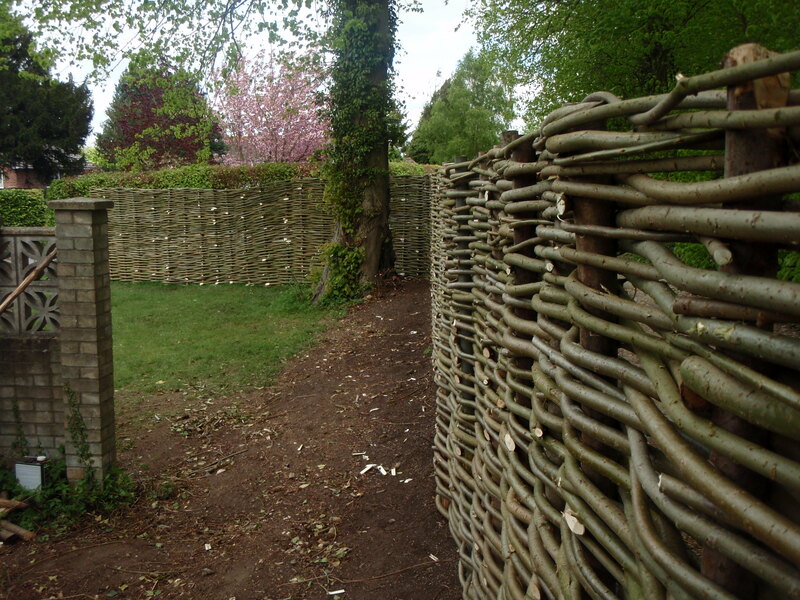 We use a mix of wooden and metal uprights to give stability to the fence throughout its life. Fences can be any size from flower borders to whole-garden boundaries, can be tailored to contours and include sweeps, curves and other bespoke features such as benches and arbours. These techniques can also be used to create living fences or revetments to reinforce and rebuild waterway banks.